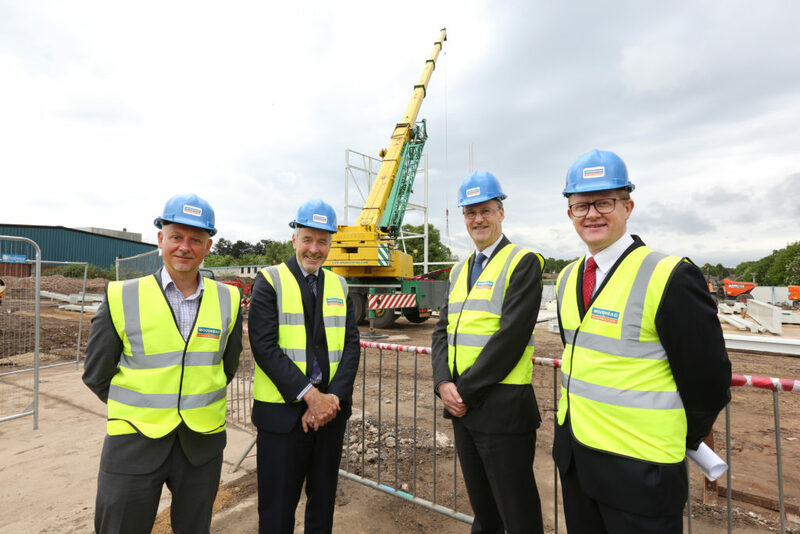 Work has started on a new building at the University of Nottingham which will be a centre for world-leading energy research in the UK. 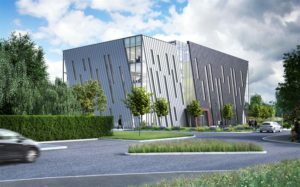 Known as the Research Acceleration and Demonstration (RAD) building, and costing £5.4m to construct, the 2500m2 centre, is being developed by Robert Woodhead Ltd on the University’s Jubilee Campus. When completed it will provide state-of-the-art facilities for research and testing as part of the Energy Research Accelerator initiative. The Energy Research Accelerator (ERA) is an Innovate UK funded initiative, which combines the research expertise of the six Midlands Innovation universities and the British Geological Survey (BGS) with the know-how of industry, to deliver a step change in energy innovation. The ERA partners are working together to tackle some of the biggest challenges facing the UK. ERA is also a key pillar of the government’s Midlands Engine agenda, helping to create new jobs and providing a platform for productivity for the region and the wider UK. Speaking about the importance of the RAD building, Gordon Waddington, Chief Executive of ERA, said: “The new RAD building will act as a focal point for much of the cutting edge research that will be taking place at the University of Nottingham in the Energy Research Accelerator. The RAD building will include laboratory space for research ranging from harvesting and storing wind energy, to the development of new materials for hydrogen storage. In addition, there will be office space for researchers, and a central atrium with breakout spaces where ideas can be discussed and explored. The equipment installed in the building’s research labs is designed to take novel energy materials and technologies from the test bench into working devices, ranging from gas storage materials and batteries to water-splitting surface and fuel cells. In addition, an x-ray photoelectron spectroscopy facility will enable researchers to replicate how atoms and molecules interact at pressures close to their normal operating environment. Built on the former Dairy Crest site on Triumph Road, the RAD building will be one of the first research centres to combine the rigorous sustainability standards of BREEAM (Building Research Establishment Environmental Assessment Method) with the principles of the German Passivhaus system. Passivhaus is based on the creation of a building with excellent insulation and a high level of airtightness, in which air quality is maintained via a whole building mechanical ventilation system. The architect for the RAD building is Lewis & Hickey, with BWB acting as structural & civil engineers and CPW as services engineer. AECOM are project managers and Turner & Townsend are the cost managers. The RAD building will also be home to the University’s Energy Innovation and Collaboration team. This provides support to help small and medium sized businesses to innovate through the ERDF funded ‘Energy for Business’ support project. Visit www.nottingham.ac.uk/energyforbusiness for more information.